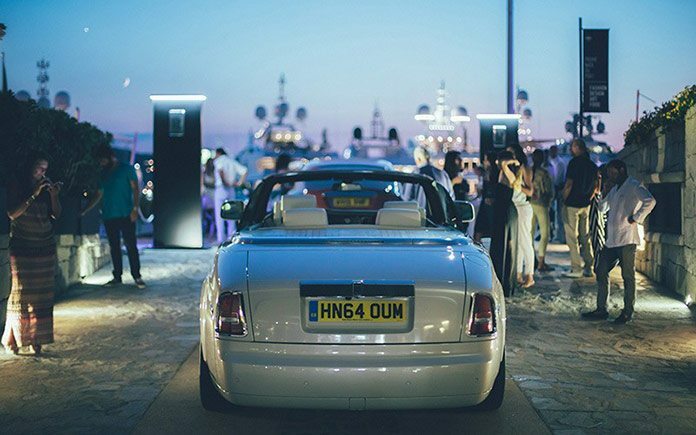 A grand-opening party on 18 July signaled the official start of the Sardinian season and the opening of the Rolls-Royce Summer Studio at Porto Cervo, Sardinia on the island’s stunning Costa Smeralda. The Studio which first appeared in the summer of 2014, has rapidly made its name as a social hot-spot for the temporary inhabitants of one of the most glamorous and enduringly cool enclaves in the world. The highly contemporary space, secreted into the walls of the Prommenade Du Port has proven the perfect setting to relax after a day’s marine sojourn. The Studio has been designed to present customers and guests with a supremely luxurious yet informal setting, more akin to a club or lounge than a traditional dealership environment. 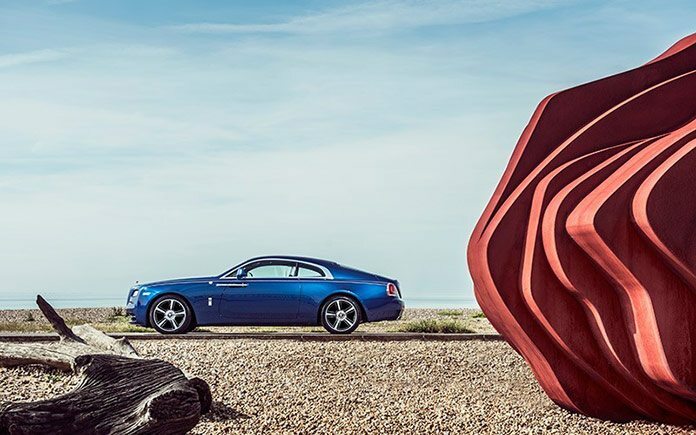 A fleet of Rolls-Royce Phantom, Ghost and Wraith motor cars are on-hand should a guest wish to experience a test drive on the local coastal roads. A discreetly placed Atelier has been added to allow customers to commission a Bespoke Rolls-Royce motor car should they wish. 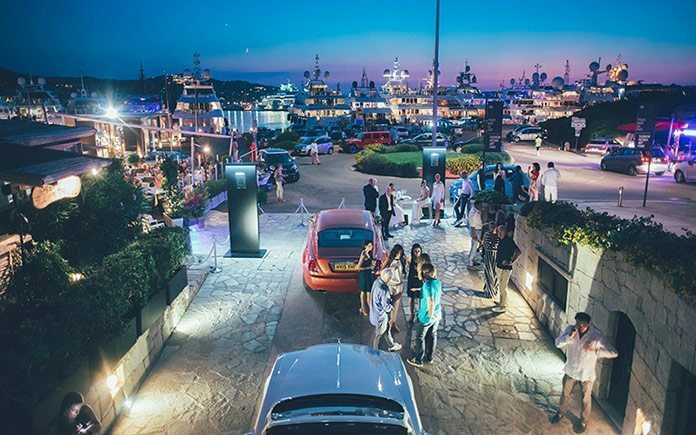 As day turns to night, the Studio effortlessly segues into the cocktail-hour destination of choice for the occupants of the super-yachts during their visit in the harbour. A series of exclusive events, reflecting Porto Cervo’s standing as a point of convergence for the worlds of art, design and super-luxury have been inaugurated with a talk and showcase by founding partners of architecture, interior and yacht design company March & White, Elliot March and James White, who offered a fascinating insight into the world of super-luxury yacht design. Wine connoisseur and journalist Tom Harrow and his close friend and tailor to the stars Timothy Everest will co-host a series of highly anticipated events. Tom will guide guests on a journey of discovery of perfect wines for yacht cruising, whilst Tim, a British Bespoke tailor renowned for his noteworthy client list will investigate the new Bespoke Casual and New Bespoke movements. The Studio will play host to an array of exclusive and intimate events in this spirit throughout the summer season, affirming its status as an ambient retreat for well travelled and distinguished guests. The Summer Studio will open between Saturday 18 July 2015 and Friday 18 September 2015. Visitors will be invited to see one of a collection of three limited edition Bespoke Porto Cervo Wraiths, created to mark the occasion. Designed to playfully allude to a nautical theme, these motor cars will capture the essence of the island. 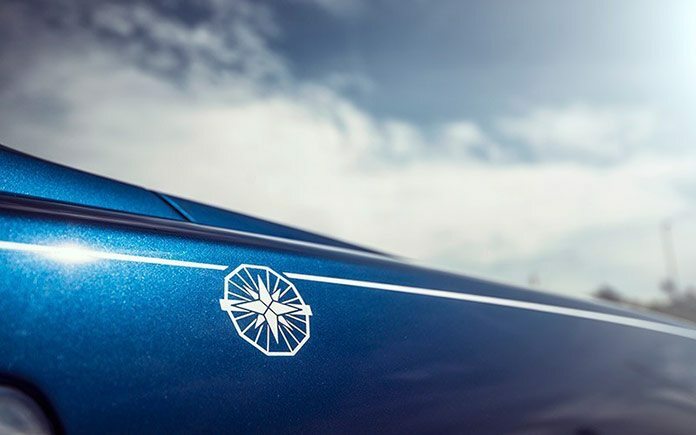 An exterior of Azurite Blue paint is accented by the distinctive Promenade du Port emblem, appearing not only in the form of an arctic white hand painted coachline, but also found embroidered onto the headrests. 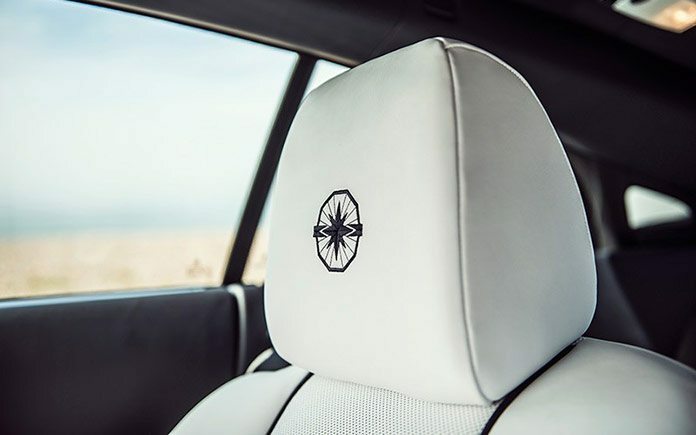 A stark arctic white interior provides a contemporary finish with clean lines accented in a cool contrasting navy, offset against open grain Royal Walnut Canadel Panelling, orientated at 55 degrees then carefully book-matched creating a perfect mirror image through the centre line of the car. Sounds of the summer can be experienced in the cocooned cabin of the motor car. 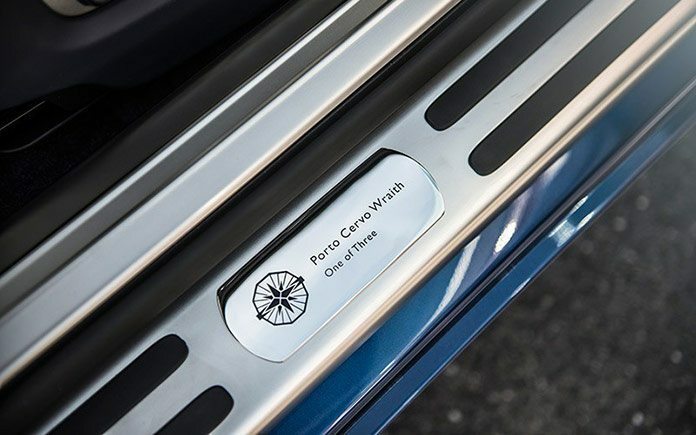 Eighteen perfectly balanced and finely tuned speakers are positioned around the interior to ensure occupants enjoy the finest of listening experiences courtesy of Rolls-Royce’s Bespoke Audio. The night sky over the marina is echoed in Wraith’s starlight headliner, where 1,340 fibre-optic lights shine an atmospheric haze over the motor car’s inhabitants. The finishing touch is perfected by an up-lit Spirit of Ecstasy, the iconic figurine who stands serenely on the bonnet of the motor car, casting a gaze over island’s residents.